explained for kids by kids! 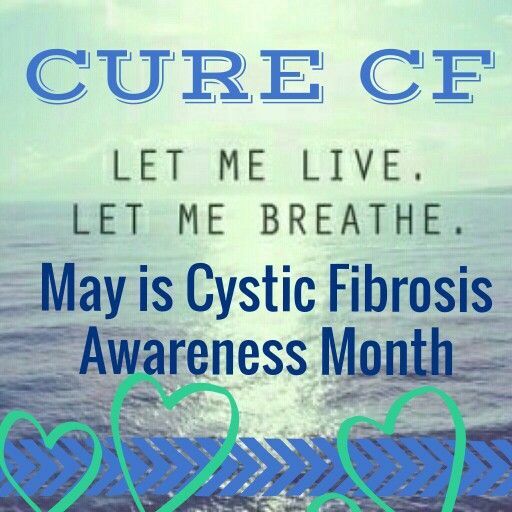 "Cystic fibrosis is a progressive, genetic disease that causes persistent lung infections and limits the ability to breathe over time. In people with CF, a defective gene causes a thick, sticky buildup of mucus in the lungs, pancreas, and other organs. In the lungs, the mucus clogs the airways and traps bacteria leading to infections, extensive lung damage, and eventually, respiratory failure." "You might not feel sick. Not even a sniffle. But people with healthy lungs often harbor bacteria they don’t feel, but which could kill CF patients, such as pseudomonas or nontuberculosis mycobacteria. So, don’t think we’re being paranoid if we take hygiene precautions around you, even if you aren’t “sick.” A sniffle for you could be pneumonia for us if we catch your germs." on the chalkboard? Nothing made sense and you were sure that, even in a year, the foreign symbols of fifth grade math would never be a language you’d understand. Fifth grade math is Cystic Fibrosis." A medical team explains to adults how CF affects a person's body. Great for family members, friends, or community members wanting to get an in depth look at all the areas of life CF affects for the patients and their parents. PURPLE IS THE COLOR OF CF AWARENESS? Right click to save the pictures below and have your kids color the ribbon purple! Use to bring awareness to the cause, or for your CF fundraising walk! On the 30th anniversary of Great Strides – the Cystic Fibrosis Foundation’s largest national fundraising event – we celebrate the many milestones we have achieved thanks to our supporters. 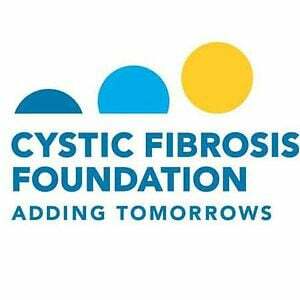 Each year, more than 125,000 people participate in over 400 walks across the country to support the Foundation’s mission to cure cystic fibrosis and raise awareness about this rare, genetic, life-shortening disease that makes it difficult to breathe. Their dedication over the past 30 years has resulted in tremendous progress. <-- One of our Mindfulness Mothers amazing moms is putting together a team named after her 10 month old son who has CF. You can join her team here: HERE! <-- And you can hear her story on the Mindfulness Mothers Mothers' Day 2018 Podcast event HERE.